nitin_s1 wrote: Did you have Motegi lowering springs? Yeah, I remember parked up to Dad's in the ruby red 5th gen and noticing how much lower the Motegi sat. But, I'll frequently admit to ride height envy, the Lude is a car that sits well low, some cars can look ridiculous, not so the Lude. Also remember when parked up side by side, both with stock exhausts, how much the A8 sounded that much deeper than a stock A5 set up. Just a quick update with a few photos. I'll add more details once I actually see the car, it's up in Leeds. I think I mentioned in a previous post that I gave Honda a long 'wish list' of jobs to do. It wasn't plain sailing as many parts are simply unavailable. 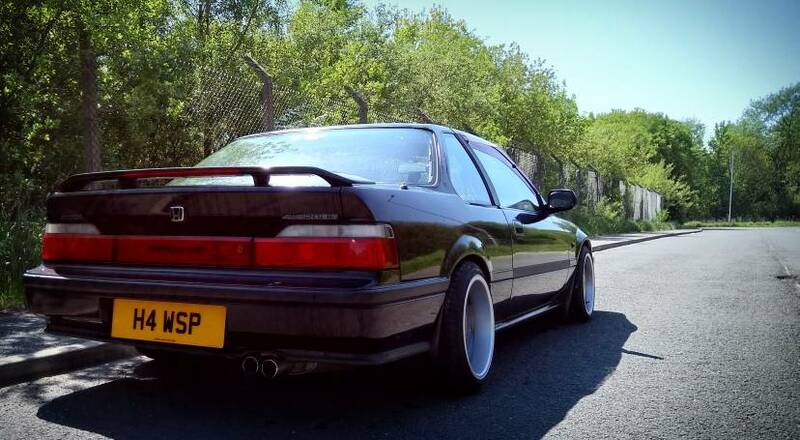 Along the way an MOT was failed, rear suspension components that required shipment from Japan. Unfortunately, we have a couple of issues on the Mot that were only highlighted once we could get the car onto the 4 poster Mot ramp. A lot if this is regarding the new Mot inspection rules that came in early May. So, I’m going to have to replace both rear track rod end dust covers at the rear & also a front ball joint cover that is split. Upto this year, the car wouldn’t have failed on these. Further issues, and a slight niggle that getting parts could be tricky. The issues with the track rod bushes are that on the two post ramps there looked to be very little play or deterioration but on the four poster Mot ramp, the shaker plates its show up the play and we’ve just prodded at one of the bushes and its started to break up, so no choice to replace them. The ball joint dust cover, I can get within 48hrs from Honda, so no problems there. The two rear track rod end covers are not available anymore separately, we’ve checked with Honda Uk & Honda Europe, they can order the complete track rod ends but this is a special order that will need to come direct from Japan. The current ETA they are telling me is roughly the 6th of July, so about 2 ½ weeks. We’ve phoned around our usual motor factor companies, but no one is listing anything for the vehicle. Part of the wish list was to tidy the engine bay, little things like a new battery strap replace rusting bolts, tidy up radiator brackets, paint inner section of wings, (previously faded), restore manifold cover, and re paint front cross member. There's still some DIY work to be done. Other work done included a sorting a set of 3 nasty stone chip/dents, front end re done, (I'd collected a fair few stone chips on the leading edge of the bonnet and bumper). And the Motegi wheels where refurbed. NafemanNathan wrote: She's looking glorious dude! The Honda garage got their paint guy in too properly buff up the paintwork, (no charge), prior to pick up. I'm now desperate to get some decent sealant on the paintwork then layer up some wax. 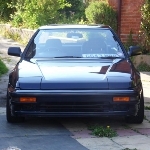 Looking forward to the long drive to Beaulieu, will be the first time I've driven the Lude in quite a while. Dad reports a smooth throttle and, bar nearly running out of fuel, it runs well. Stunning, Stunning and just Stunning. Well done Norks for keeping your dude in concours condition. PreludePete wrote: Stunning, Stunning and just Stunning. Hehe, yeah. Now I feel the need to wrap it up in cotton wool. newkid wrote: That is stunning! Car is looking truly fab, well done. 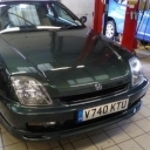 I'm impressed at the Honda Dealer taking on things that are outside standard servicing and crash repair bodywork - most would run away from that. The rear steering track rod ends on a 4g are not available separately from Honda either and there is no aftermarket part listed for them... However Vectra (B, IIRC?) front track rod ends are identical and fit - likely to find similar is true for 5th gen?